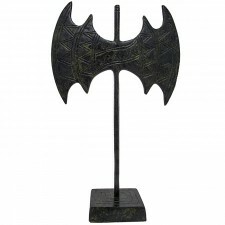 An ax which was used as a weapon, or a sacred tool for animal offering to the gods. The double-heade..
Hand Made Bronze Flat Trireme. 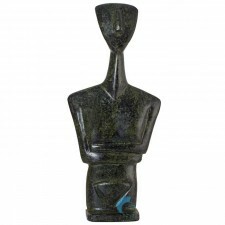 Hand-Made Bronze Sculpture with Quality Guarantee. Traditionally ma..
and to allow male actors to play female roles. Hand Made Bronze Bust Of Heniochos. Hand-Made Bronze Sculpture with Quality Guarantee. Traditiona..
Hand Made Bronze Bust Of Hippocrates. 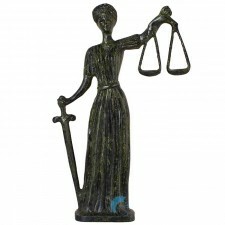 Hand-Made Bronze Sculpture with Quality Guarantee. Traditio..
A mask of the Athenian Comedy, used to show the emotions of the characters in a play and to allow ma..
Hand Made Bronze Mask Of Heniochos. 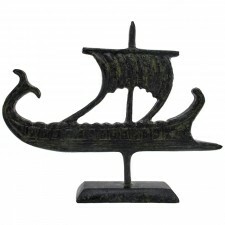 Hand-Made Bronze Sculpture with Quality Guarantee. Traditiona..
Hand Made Bronze Tragedy Mask Hand-Made Bronze Sculpture with Quality Guarantee. Traditionally ma..
Hand Made Bronze Mask Of Poseidon. 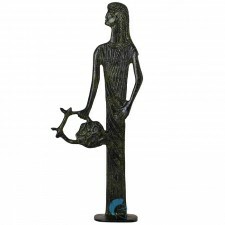 Hand-Made Bronze Sculpture with Quality Guarantee. Traditionall..